This is a new feature I developed where each month we will look at our favorite – the best – series in a genre. 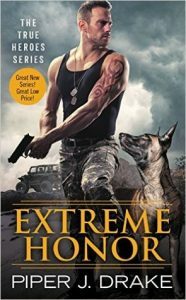 The genre here, by my definition, is series where the main character(s) is a K9 law enforcement officer or trainer who works with them. There aren’t so many, so these are the only ones I know. Since I haven’t read everything, it’s a subset of the possibilities. I’m sure I am forgetting some great authors. There are also plenty of authors I have yet to read. Please share your favorites with me in the comments, also. Vote for your top 3 favorites! You can vote for my favorites or add favorites of your own. Remember this is how the winning option is chosen for the giveaway. What are your favorite series with K9 Units? Then enter the giveaway below. The winner will get the first book in the winning series! Open to anyone who can receive an Amazon digital ebook. Fun feature! I’ve read one of the Katie Ruggle books, I love those covers. I’m really proud of this feature and I thought this theme was especially fun. I’ve enjoyed reading all the books for it. 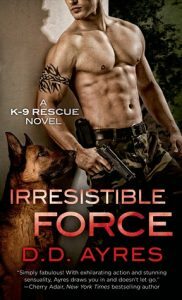 I’m a fan of the K-9 series by D. D. Ayres. Hope you enjoy! I am enjoying. I’m working on that series. D.D. Ayres in my opinion on all the K9 books I’ve read has written the best K9 dogs. She actually knows what the breeds can and can’t do. What field of work they are best suited too and she researches those fields. I’ve grown up around dogs and know a lot, but not all, so her K9’s have the most relizem to them that I’ve found. 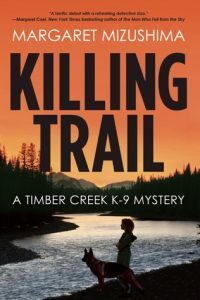 I’m reading Katie Ruggle series now and am enjoying it. I also tried Piper J. Drake, but didn’t hit it off on that series. Now the others you listed I haven’t read, but have plans to read at least Jen Blood . Great post. Thank you! I enjoyed the Margaret Mizushima ones the best so far. I also really liked the Tee O’Fallon ones; I have a review of one of those today. I’m working on the DD Ayres series. I chose it for my Read A Series in a month challenge in May. Good luck with reading a series in a month. Good pick to for it. 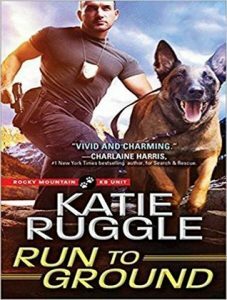 I’ve heard of all the series you picked, but I’ve only read the Katie Ruggle ones. 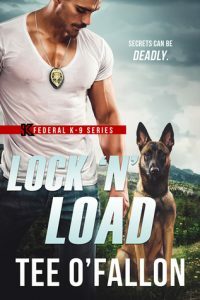 I only have one other K9 Rescue series that I read and liked, Jen Blood’s Flint K9 Search and Rescue. I’ve read some pretty good individual ones from Marliss Melton that come to mind. I’ll get to these others you’ve got up there at some point. I do love rescue animal stories. I had the Jen Blood series in this post and then I switched it over to Tee O’Fallon since I liked hers better. I found it later after I had written this post. Yeah, I know I’m confusing some people. lol. I really have enjoyed reading about these. I loved Ryggle’s series and I have the first book for every one of these other series on my wish list! I hope you enjoy them as much as I have. I got almost everything from the library. From this list, I have only read Katie Ruggle and Alex Kava. 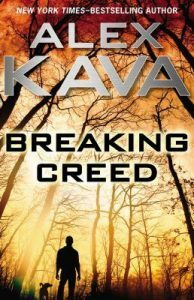 The Alex Kava series is great but the lead character with the dogs isn’t an officer. He is a dog handler that trains dogs and often works with police or search and rescue. He uses different dogs based on what the job is. Yes, I’ve read at least the first book if not all of the ones in these series. They tend to all work with law enforcement, even in search and rescue ones. Oops I guess I shouldn’t have said where the main character is a police officer. They are often dog trainers who work with law enforcement. Great idea Anne. I’m going to look into those I’ve never read. It’s been really fun to read these. I’ve been waiting to post this since I am really proud of this idea. I’ve only read Katie Ruggle and one book by DD Ayers. I do love books with pets as secondary characters. I’ve really, really enjoyed reading these! I loved this idea from the start and have enjoyed reading the books. The series by Mizushima is my favorite of the group so far. I’m up-to-date on that series. Some of the others I have only read the first book or two. Now I want to check all of these out! That was me the last 2 months as I was working on this one! I’ve enjoyed it. I love the Piper Drake covers, but I really want to read the ones by DD Ayres. I’ve really enjoyed reading them all! I hope you do.